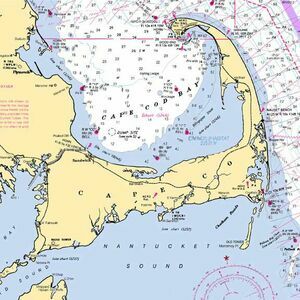 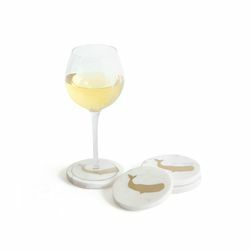 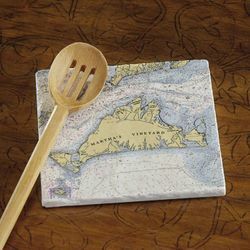 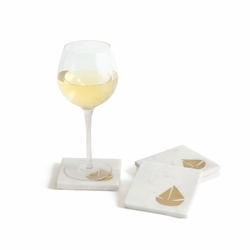 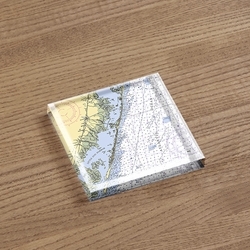 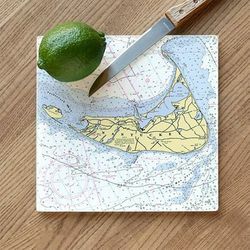 Choose from our top 100 nautical maps and honor that special place in a set of marble coasters, clock or trivets. 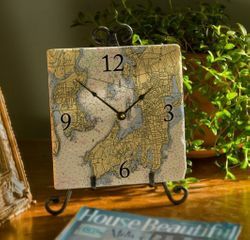 It's all about the power that "place" has in our lives...that one special beach with its rocky shoreline, the island getaway that will forever be a part of your best dreams, that family summer vacation destination which evokes so many cherished memories. 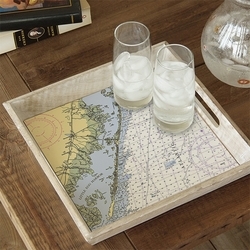 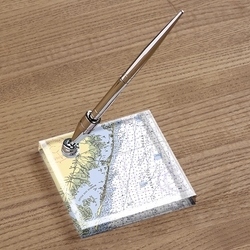 Each personalized to showcase your "place". 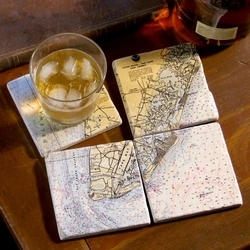 They make wonderful gifts for special occasions or holidays. 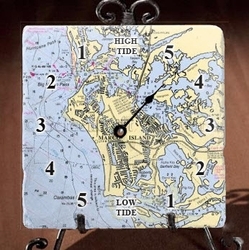 Marble Tide Clock with Easel - Personalize!